This set of Strength of Materials Assessment Questions and Answers focuses on “Center of Gravity of Section”. Explanation: The center of gravity of a rod will be on its center. Here it will be at 10cm. Explanation: The whole weight of a circle can be assumed to act through its center. So the center of gravity of a circle is at its center. Whatever may be the radius of the circle the center of gravity will be on its center. 3. 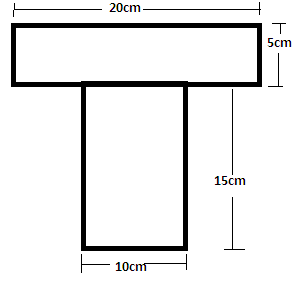 A rectangle has dimension of 10cm x 20cm. where will be its center of gravity? Explanation: The centre of gravity of this rectangular area will be half of 10cm from x-axis and half of 20cm from y-axis. therefore the center of gravity will be at (10,5). 4. 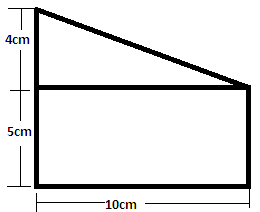 Where will be the centre of gravity of the T section shown in the figure? Explanation: The center of gravity is given by, y = (a1y1 + a2y2) / (a1 + a2) = (100×17.5 + 150×7.5) / (100+150) = 11.5cm. 5. 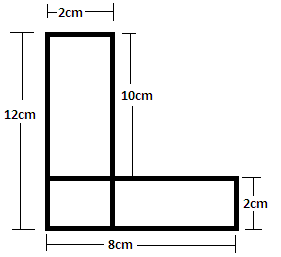 Where will be the center of gravity of the L-section shown in figure? Explanation: The center of gravity is given by, y = (a1y1 + a2y2) / (a1 + a2) = (20×7 + 16×1) / (20+16) = 4.33cm. This will on for the y-axis. For the x-axis, The center of gravity is given by, x = (a1x1 + a2x2) / (a1 + a2) = (20×1 + 16×4) / (20+16) = 2.33cm. So the center of gravity will be at (2.33, 4.33). 6. Where will be the center of gravity of the figure shown? The center of gravity is given by, y = (a1y1 + a2y2) / (a1 + a2) = (20×10/3 + 50×5) / (20+50) = 4.52cm. For the x-axis, The center of gravity is given by, x = (a1x1 + a2x2) / (a1 + a2) = (20×6.33 + 50×2.5) / (20+50) = 3.59cm. 7. Where will be the center of gravity of the shown figure? The center of gravity is given by, y = (a1y1 + a2y2) / (a1 + a2) = (25×10/3 + 100×5) / (25+100) = 4.66cm. For the x-axis, The center of gravity is given by, x = (a1x1 + a2x2) / (a1 + a2) = (25×11.66 + 100×5) / (25+100) = 6.332cm. 8. Where will be the center of gravity of an I section will be if the dimension of web is 2x20cm and that of flange is 2x15cm If the y-axis will pass through the center of the section? Explanation: The center of gravity is given by, y = (a1y1 + a2y2 + a3y3) / (a1 + a2 + a3) = (40×18 + 30×9.5 +40×1 / (40 +30+40) = 9.5cm. 9. Where will be the center of gravity of an T section will be if the dimension of web is 2x20cm and that of flange is 2x15cm If the y-axis will pass through the center of the section? Explanation: The center of gravity is given by, y = (a1y1 + a2y2) / (a1 + a2) = (40×16 + 30×7.5)/ (30+40) = 12.35cm. 10. Where will be the center of gravity of the following section? The center of gravity is given by, y = (a1y1 + a2y2) / (a1 + a2) = (50×11.66 + 50×5)/(50+50) = 8.33cm. 11. 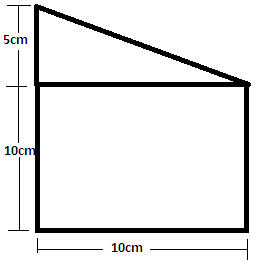 Where will be the centre of gravity of the following L-section? Explanation: The center of gravity is given by, y = (a1y1 + a2y2) / (a1 + a2) = (600×50 + 414×3) / (600+414) = 18.31cm. For the x-axis, The center of gravity is given by, x = (a1x1 + a2x2) / (a1 + a2) = (600×3 + 414×40.5) / (600+414) = 30.81cm. 12. Where will be the center of gravity of an I section will be if the dimension of upper web is 2x8cm, lower web is 2×16 and that of flange is 2x12cm If the y-axis will pass through the center of the section? Explanation: Area of upper web a1 = 16cm, area of flange a2 = 24, area of lower web a3 = 32. The center of gravity is given by, y = (a1y1 + a2y2 + a3y3) / (a1 + a2 + a3) = (16×15 + 24×8 +32×1 / (16 +24+32)) = 6.44cm. 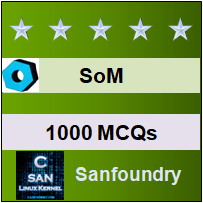 To practice all areas of Strength of Materials Assessment Questions, here is complete set of 1000+ Multiple Choice Questions and Answers.